Your Board CV (curriculum vitae / résumé), or more correctly called your Board Document, is the most important 'autobiography' you will construct when looking to move or expand your presence in the Board space. Saying that it needs to be carefully crafted would be an understatement. The question, "what does a killer Board Document look like?" comes up quite frequently, but it is often kept a coveted secret by most who have perfected the process. I, too, have been guilty on countless occasions of being overprotective of my Board Document and will only provide it for vetted opportunities, or to use as an example for Board candidates I coach (and, in some cases, experienced Board Directors looking to refresh and modernize their image). Why is this secrecy so prevalent? What is so valuable to protect? The answer is simple: It is a very personal document, and not just in terms of content. Its structure, format, and readability remain the most sought-after outcome to perfectly resonate with Nominating Committees and Boards - and when those requirements are met, you have reached the pinnacle of representing yourself properly for a Board seat. "Initially representing yourself at the Board and C-Level can be an exercise in first impressions," states L. Kevin Kelly, Vice Chairman of Options Group, former CEO of Heidrick & Struggles, and co-author of the white paper, 'The Current Digital Crisis of Confidence in Corporate Board Rooms.' "A properly constructed Board Document is an important way of evaluating talent holistically, starting with how candidates present themselves when they are not in the room." So, this potentially 'traitorous' act of sharing the Board Document formula, many believe, puts them at a disadvantage in Board candidate decisioning by commoditizing their differentiator - their Board Document structure - and thus the protectionist approach of properly constructed Board Documents remaining a closely held secret. Your Board Document is the first impression you convey when 'applying' for a Board seat - and it can make a big difference in the outcome. At the very least, it will increase your chances of making it to the in-person interview. So, what is this secret formula? I will share it with you now. First, know that constructing your Board Document is an exercise in concise and precision writing. Although it is commonly agreed that your Board Document should be 'no longer than two or three pages,' what I believe this rule-of-thumb should actually state is, "one page is awesome, two pages is ok, three pages is debatable, and four+ pages is unacceptable." In my experience, keeping your Board Document to one page not only satisfies the requirement of 'readability,' but also shows that you are inherently concise, able to get to the point quickly, and that you understand time is valuable. "Less is more," states Jack Gelman, Managing Director of Gelman & Associates and Group Chairman with Vistage International. "Focusing on 'less is more' will help create a clear, concise, convincing, and memorable document. Importantly, this will subtly suggest to the reader that you are a deliberate thinker and advisor." Do yourself a favor - aim to keep it to one page. Save your deep details for your interview. Board and Board Committee experience: Include any relevant Board title(s), number of years in the Board Director vertical, and industry experience within the private, public, and/or nonprofit sectors. Board-Level Experience: More specifically, this includes scenarios where you were not seated on a Board, but interacted at the Board-level. This area can also be quite helpful in scenarios where you are starting your Board career, but have not yet served on any Boards to-date. Executive Capacity: Relevant titles and executive roles you hold, or have held, in your career at the executive capacity. Qualifications: A mention of certifications and education. When possible, these should be specifically related to the Board vertical in this Profile area. Further details on your Board and Board Committee Experience: In this area, you should further expand upon any Board and Board Committee experience you have. This expansion, although providing more detail, should still remain concise and also contain succinct examples of successes. Always remember to keep your wording to the 'strategy' and 'governance' level of your leadership, as delving into 'management-type' examples will greatly undermine you when aiming for Board-level positions. If you currently don't have any Board experience, that is ok - simply skip this section and move to the next mentioned step. Board-Level Experience: Experienced Board Directors can show their background and experience interacting with Boards at an executive-capacity when they weren't necessarily seated on a particular Board. I like to see this area included, as it evidences that a potential Board Member candidate has experienced 'both sides of the table,' a trait that inherently makes them a better Director. Additionally, many professionals looking to break into Board Directorship may not have any previous Board Member experience, but they do have Board-level experience - meaning that they have interacted with a Board through Board Committee exercises, contributed to the overall company strategy, gave Board presentations, etc. This section is a great area to show that you are experienced in the process, can interact and perform at this level, and know the decorum. Executive Experience: This area is a must for any Board Document, as it provides the foundation and background for your executive leadership experience and expertise. Although this typically contains C-level titles, those looking to break into the Board space without this level of experience shouldn't despair. Be truthful with your titles and responsibilities, but evidence your strategic and governance applications in these roles. If possible, also link your successes to the overall company strategic plan and how you ensured its alignment through proper governance. Education, Certifications, Memberships, & Professional Affiliations: As I wrote in my book, 'Across The Board: The Modern Architecture Behind an Effective Board of Directors,' certifications and qualifications relating to the Board vertical are important to include. This shows your seriousness and dedication to the Board vertical and view it as a discipline. Until recent times, certification credentials relating to the Board discipline weren't a major focus, but that has changed. Major colleges now offer Board-level courses and ongoing education. Organizations such as the American College of Corporate Directors (ACCD) and the National Association of Corporate Directors (NACD) have created worthwhile education and credentialing programs that keep directors current in all aspects of Board disciplines. Although the mention of 'Qualifications' within the 'Board Profile' section mentioned earlier should contain Board-related certifications and education, this expanded area should also include other certifications and credentials relating to your specific industry expertise. The Game Changer: Now, you say you want to make your Board Document awesome, not just good? Be sure to include the 'soft-skill' areas where you excel. In my Board Document, I personally include an additional section that I view as a game changer, especially in candidate decision-making scenarios. This added area I call my 'Core Competencies.' This lists characteristics I, and hopefully others, would use to describe my demeanor and approach in group and leadership situations. Categories such as Character, Communication, and Strategic (to name a few) have listed descriptive words underneath them to support my 'soft-skills' focus. This is one area that standard Board Documents typically do a poor job of representing, but when included, absolutely go a long way in allowing an evaluator or Nominating Committee to get a personal feel for your character, even before they meet you. It is possible that you will have a few instances of duplication between these sections in your Board Document due to the mentioned structure, but this is totally acceptable. Separately from your Board Document, feel free to supply your written biography, too, as this can add a more personal touch to your submission along with details that may not be acceptable to be included in your Board Document. My preference is to have a biography as a separate file or document whenever possible. However, know that some online candidate databases that request an uploaded Board Document file don't allow for more than one document. In this case, I prefer to have the Board Document as the first page and the biography as the second page. As is the case with your Board Document, aim to keep your biography to one page, also. Creating your Board Document and biography is not an easy task. It will take hours of work... and you will change it often as you add additional experience and in scenarios where you customize for specific Board opportunities. Always have someone with experience in this space review and critique it. 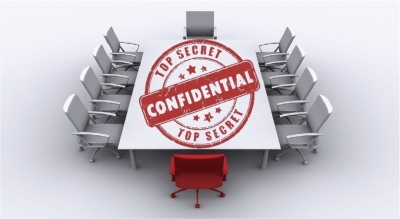 Utilize this article as your roadmap to guide your approach - and then see if you become protective and secretive of your very own Board Document! What will you include in your Board Document? Reach out directly to Mark A. Pfister to create your killer Board Document in his 'Becoming An Exceptional Board Director Candidate' Course.